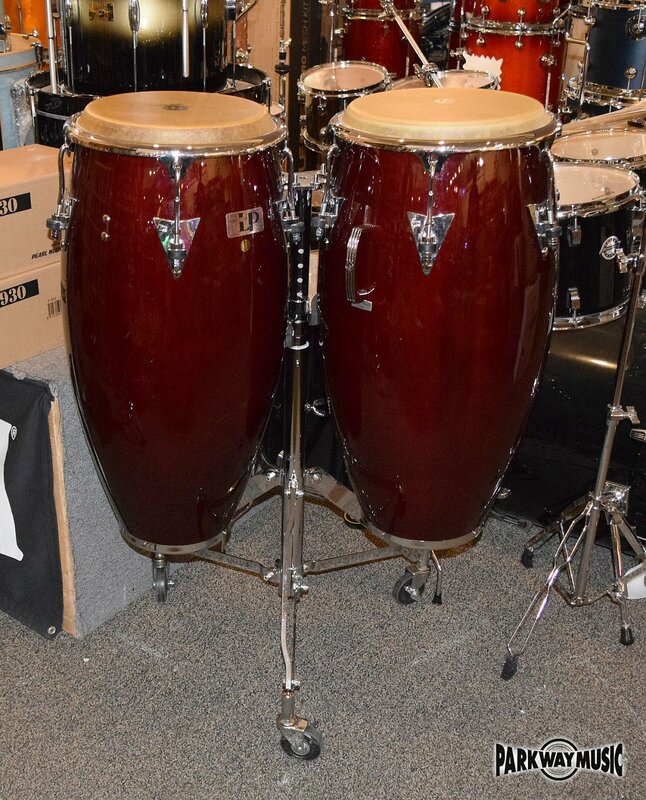 LP Classic Series 11'' Quinto, 11 3/4" Conga Drums W double conga stand and deluxe LP conga bags. Both drums are in outstanding shape and sound Amazing. These are professional drums. They come with a heavy rolling conga stand and LP conga bags w wheels.